Nursing education can be quite costly, especially when one factors in the expenses beyond tuition. For example, science and medical textbooks can be very pricey. It’s prudent to budget $800-1,000 per semester for books, although students can save by buying used or renting. Another significant cost factor is living expense, which includes the cost of rent and meals. Students who commute to school can save money by living at home during their studies. Finally, most schools require a handful of additional charges like library fees and parking permits. Thankfully, many schools offer financial aid to help students cover these significant expenses. It’s critical to note, however, that these costs are not the same from school to school. Tuition at private schools is often much higher than tuition at public schools, which are typically subsidized by state governments. School location can affect living expenses, since an urban location is usually more expensive than a suburban or rural setting. The final factor that affects the cost of education is program length. Certified nursing assistants (CNAs) enroll in a brief certificate program that lasts just a few weeks. 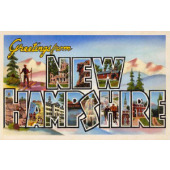 On the opposite end of the spectrum, New Hampshire’s registered nurses (RNs) must complete a two-year associate’s degree, four-year bachelor’s degree, or direct-entry master’s degree program. When choosing a program, nursing students should weigh the cost against the return on investment. For example, New Hampshire’s CNAs earn roughly $28,000 per year, while the state’s RNs have a median annual salary of almost $63,000. To help New Hampshire’s prospective nurses, we’ve compiled below additional information on the state’s top nursing schools.